Norristown, PA — A group of Montgomery County Community College (MCCC) accounting students are gaining real-world experience preparing federal and state income tax returns for lower income households. Through the Volunteer Income Tax Assistance (VITA) program, eight MCCC students, along with Rita Mayhew, an Accounting instructor and the faculty advisor to the student Accounting Club, have been volunteering their time at the Montgomery County Community Action Development Commission (CADCOM) office in Norristown. Since February, five students join Mayhew every Saturday for three hours. Their services will continue through April 15. MCCC’s accounting faculty added a curriculum requirement that five percent of a student’s grade is based on successful VITA certification. Faculty do not mandate that students volunteer. However, doing so provides students with real-world learning to reinforce and build upon what’s taught in the classroom. For some MCCC student volunteers, including Jinman “Jean” Li, English is their second language. For Li, a Business Administration student who plans to major in Accounting, the tax return process was unfamiliar. In her native China, tax returns are not filed. Li said she is excited about the opportunity to gain more accounting knowledge. Ken Haubert, CADCOM’s director of asset development, echoed those sentiments. In all, Mayhew estimates that students will have completed 200 tax returns – or possibly more – through tax season. Last year, 1,565 total tax returns were filed through CADCOM’s VITA program, according to Haubert. This year, with more volunteers, particularly from MCCC, Haubert anticipates even more returns being completed. In order to qualify for VITA tax preparation services, households cannot make more than $54,000. Last year’s average income for those served at CADCOM VITA sites was $19,600, according to Haubert. The free service saved clients $352,000 in tax preparation fees last year. This, when added to refunds of $2,626,325, generated a total community economic impact of $4,175,855 at CADCOM VITA sites alone, he said. Haubert said student volunteers not only benefit his program, but the community and the students as well. “They are dealing with personalities of clients,” Haubert said. “You have to use your tact and your interpersonal skills to make them feel comfortable. VITA services are available at multiple locations throughout Montgomery County. To find the location closest to you, dial 2-1-1 from your telephone and follow the prompts. To schedule an appointment at CADCOM’s Norristown location, clients may also call 610-277-6363 ext. 115. The 16th annual DeSales Film Festival is a student-run festival that seeks to cultivate and honor future filmmakers. This wildly popular film festival is dedicated to nurturing a community of student filmmakers and serves as a means to showcase their work. Featuring a wide variety of genre, the film festival showcases short films, documentaries, music videos, dance-on-camera pieces and animation works conceived, written, directed and edited by our talented TV/Film majors. This is often the students’ first chance to premiere their films before a live audience. On the final evening, the “Audience Favorite,” “Honorable Mention” and “Best of show” winners will be announced. Join us for an inspiration, provocative and entertaining evening of cinema! ** Rush Tickets are available for General Admission only. **Not valid with any other offer. For additional information, please visit Act 1, DeSales University’s Website or call: 610-282-1100. Blue Bell, PA —Montgomery County Community College’s (MCCC) student-run, Internet radio station, Montco Radio, will host its first-ever Alumni Broadcast on Saturday, April 16. Starting at 8 a.m. and continuing through 6 p.m., radio station alumni from the 1980s through today will host and broadcast live shows from Montco Radio’s studio in the Advanced Technology Center at MCCC’s Central Campus in Blue Bell. The community is invited to listen to the live broadcasts by visiting http://www.montcoradio.com or by clicking on the microphone icon on the lower left corner of MCCC’s homepage, http://www.mc3.edu. Montco Radio, once named WRFM (Radio Free Montco), began as a record-spinning club in the early 1970s. Over the years, the club evolved and began to operate like a radio station, with music and content being broadcast into MCCC’s cafeteria in College Hall. Then, in 2003, Montco Radio gained an international audience when it began broadcasting over the Internet. The station’s alumni are equally excited to be back on campus. Former Montco Radio officer Jen Mitlas, who was a 2015 Sundance Institute / Knight Foundation Fellow, will co-host the 10 a.m. hour on April 16. Former station manager Kerri Hughes, who will co-host the 10 a.m. hour with Mitlas, agrees. For many of the returning alumni, the April 16 broadcast will be the first time they will see the station’s new home—a state-of-the-art broadcast studio in MCCC’s Advanced Technology Center that rivals those found in the industry. To learn more, visit http://www.montcoradio.com or follow Montco Radio on Facebook: http://www.facebook.com/montcoradio, on Instagram: @montcoradio, and on Twitter: @montco_radio. Allentown, PA – For more than a millennium, the Bible has been the source of some of the richest veins of theatrical history — a tradition that playwright Sarah Ruhl explores in depth in her 2008 drama “Passion Play.” The play opens March 31 at Muhlenberg College. “Passion Play” plays March 31 through April 3 in the college’s Baker Theatre. Tickets and information are available at muhlenberg.edu/theatre and at 484-664-3333. Hailed by New Yorker magazine theater critic John Lahr as “extraordinary,” “bold,” and “inventive,” “Passion Play” takes us behind the scenes of three communities attempting to stage the death and resurrection of Christ. From Queen Elizabeth’s England to Hitler’s Germany to Reagan’s America, Ruhl’s exploration of devotion takes a humorous yet unsettling journey filled with lust, whimsy, and a lot of fish. Ruhl dramatizes a community of players rehearsing their annual staging of the Easter Passion in three different eras: 1575 northern England, just before Queen Elizabeth outlaws the ritual; 1934 Oberammergau, Bavaria, as Hitler is rising to power; and Spearfish, South Dakota, from the late 1960s through Reagan’s presidency. In each era, the players grapple in different ways with the transformative nature of art — and politics are never far in the background. Schachter says that, for her, the play’s most interesting question has to do with the role of the individual in determining the course of history — “the responsibility of everyday people.” In 1930s Germany, for example, we see the choices of individuals shaping Hitler’s rise to power, as his fascist ideology creeps up through the population. The production features scenic design by Stephan Moravski, costume design by Liene Dobraja, and lighting design by Gertjan Houben. Muhlenberg senior Alan Mendez serves as musical director and musical dramaturg, and he has found appropriate popular music from each era to accompany the action. Senior Patrick Moren designs sound. 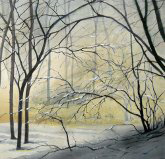 Pottstown, PA — Montgomery County Community College (MCCC) will be highlighting the talent of its art students at its 11th Annual Art Students’ Exhibition and Competition, which opens Wednesday, April 6, and continues through Friday, April 29, at the Fine Arts Gallery, North Hall, 16 High Street, Pottstown. Approximately 50 students will be displaying their artwork in a variety of media, including drawings, paintings and mixed media. The artists’ reception will be held Wednesday, April 13, from 5-7 p.m. with the awards ceremony at 6 p.m.The exhibition and reception are free of charge and open to the public. The Fine Arts Gallery is open Monday through Thursday from 8 a.m.-9:30 p.m. and Friday from 8 a.m.-4:30 p.m. Closed weekends. MCCC’s Fine Art Program provides the foundation studies and studio expertise that parallels the first two years of study at a four-year college and enables students to develop their skills and produce a portfolio in the visual arts to obtain employment after earning an associate’s degree. Students may concentrate their studies in subjects including Animation, Ceramics, Drawing, Graphic Design, Illustration, Painting, Photography, Printmaking or Sculpture. For more information about the Fine Arts Program, visit www.mc3.edu. For more information about the exhibition, contact MCCC Gallery Director Holly Cairns at 215-619-7349 or hcairns@mc3.edu. Follow the arts at MCCC on Facebook at www.facebook.com/DestinationArts for information about upcoming performances and art exhibitions. Pottstown, PA —Montgomery County Community College’s University Center, in partnership with its Career Services and the TriCounty Community Network (TCN), will be hosting a Mobile Job Lab on Monday, April 4, from 1 to 3 p.m., at the University Center, 95 S. Hanover Street, Pottstown. The Mobile Job Lab is open to the community, as well as MCCC students. At the Mobile Job Lab, MCCC’s Career Services representatives and volunteers from TCN will assist participants with searching for jobs, writing resumes and using LinkedIn to create career profiles and broaden their contact networks. The services are free, and walk-ins are welcome. MCCC’s University Center will be hosting future Mobile Job Labs on May 2, June 6, Aug. 1, Oct. 3, Nov. 7 and Dec. 5. For more information about the University Center, visit http://www.mc3.edu/university-center. For updates, like and follow the University Center on Facebook at http://www.facebook.com/UniversityCenterMC3. Blue Bell, PA —Montgomery County Community College (MCCC) invites employers to a free Business Breakfast on Thursday, April 21 from 8:30-10:30 a.m. in College Hall at the Central Campus, 340 DeKalb Pike, Blue Bell. During the breakfast, employers will learn about how their employees’ experience and training may qualify for Prior Learning Assessment (PLA), which can translate into college credits as part of MCCC’s new Professional and Organizational Leadership certificate programs. According to the 2014 Global Human Capital Trends Survey, more than 2,500 business and human resources leaders cited leadership as their top talent issue, with 86 percent rating it as an urgent or important need. However, only 13 percent responded that their organizations do an excellent job of developing leaders at all levels. By offering a new Organizational Leadership Certificate program, MCCC looks to partner with regional businesses to help them develop talent and leadership qualities among employees. “Montgomery County Community College offers pathways to credentials that can save employers and their staff time and money. These opportunities strengthen workforce retention and morale,” explained Denise Collins, manager of the U.S. Department of Labor Trade Adjustment Assistance Community College and Career Training (TAACCCT) grant at MCCC. Employers who participate in the breakfast will also be introduced to the College’s new business forum, “Business Quarterly at Montgomery County Community College.” University of Pennsylvania Men’s Basketball Coach Steve Donahue will offer a motivational address on the importance of team training and coaching to kick off this exciting new business networking opportunity. The Business Breakfast is free and is open to all employers in the region. However, space is limited. Registrations will be accepted on a first come, first served basis through April 15. For more information and to register, contact Denise Collins at dcollins@mc3.edu or 215-619-7313. On Friday April 15, 2016, Habitat for Humanity of Montgomery County is hosting Rock the Block Pottstown…an effort to help fix up properties along the 300 and 400 blocks of Beech, Walnut and Chestnut Streets. Habitat for Humanity is offering 20 tables to area organizations to highlight their initiatives, hand out brochures and connect with area residents. Tables will be set up from approximately 9:00 AM – 1:30 PM. At my annual Healthy Lifestyles Expo, members of the community will be able to explore services, participate in activities and gather information useful to living a healthy lifestyle. This will be a special expo with the recently renovated Sunnybrook Ballroom. Three meeting rooms are currently being added that will allow us to accommodate more workshops. Pottstown, PA​ — Steel River Playhouse is now accepting enrollment for the Spring term which includes private study in guitar, piano, voice, trumpet and acting, along with group classes in acting, performance, improvisation and much more. Steel River’s spring term begins on Monday, March 28​. Classes for the Spring include four different acting classes geared towards different age groups, Improvisation, Group Vocal Study (for young performers who are not quite ready for solo study), Broadway Dance Styles, and the popular Flights of Fancy program for young actors, where students create an original show for parents. Several new classes have been added for Spring for Pre­K to 12th grade and adults! Private lessons are also available in piano, voice, guitar, trumpet and acting. A new addition to the program is a group class for guitar players of all skill levels called Guitar Calisthenics ​with instructor Russ Ferrara. Students may try the class for free with advanced sign up by March 28, for up to three classes! Students may join Ferrara on Thursday, March 31, April 7, and 14 at 6 p.m. for a one-hour class allows students to work on guitar in a group class setting. Classes will only run with advanced sign up, so make sure to reserve your spot in the class. The class will continue for nine weeks, and students will need to enroll to continue in the class after the three free sessions. Students may also enroll for Spring workshop productions of DRACULA (classical workshop for dramatic actors), CINDERELLA (musical workshop for young performers) and Broadway Cabaret workshop​, all planned for Spring Semester. Workshop productions that culminate in performance are offered ALL year this year in the education department. Workshops offer acting lessons for the first part of class, and then use those lessons to work on rehearsing a fully staged production. The productions go up at the end of class on the black box main stage of the Steel River Playhouse. Summer camp enrollment has also begun, ​ and students can register for three different two­ week camps. The first camp for singers and actors has a Vaudeville theme, and runs from July 11 to July 22. The second two-week camp runs from July 25 to August 8, and is a musical theater camp presenting Arabian Nights (a musical), and the final camp focuses on acting and the creation of original one acts. The One Act camp runs August 8 to 19. Camps run from 9 a.m. to 4 p.m. daily (with option for half day camp for younger students). Before and after camp is also available. Each camp also culminates in a performance for parents, and includes workshops in specialty skills that will be used in that performance, such as juggling, Broadway dance styles and more. Steel River Playhouse employs performance educators who are regionally and nationally renowned in their fields. All are trained in their fields with many holding advanced degrees. The facility is also renowned as one of the highest rated theatrical venues in PA, featuring state of the art performance spaces, studios, classroom space, sound reinforcement equipment and seating, full set, costume and prop shops as well as the best green room of any theater in the area. Steel River’s goal is to provide the highest possible educational experience for students and participants in the Tri­County area, focused on every level of training from beginner to expert! 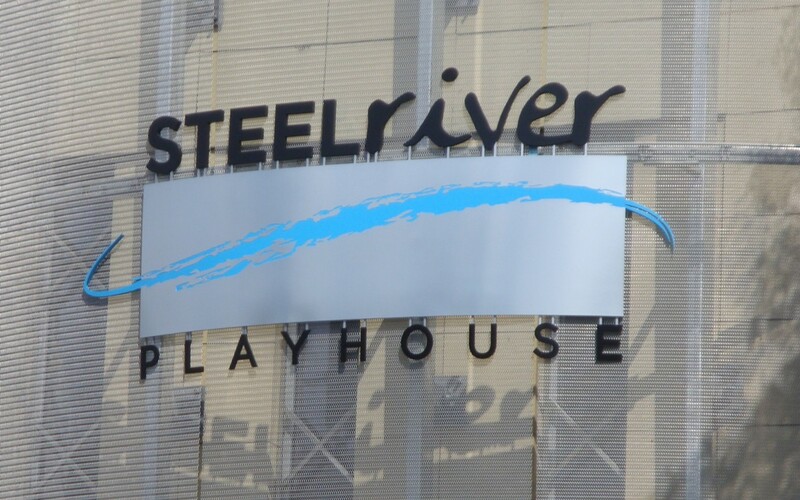 About Steel River Playhouse: ​­Steel River Playhouse is a nonprofit 501(c)(3) charitable education and performance facility that seeks to strengthen community, inspire creative exploration, educate, and entertain, through the presentation of quality performing arts events and education for diverse audiences. Designated as a “gateway” performing arts center, Steel River provides affordable, high quality performances, comprehensive educational offerings, and enriching volunteer opportunities in all aspects of theatre arts. Students and volunteers of all ages and backgrounds are encouraged to explore and grow their skills by working side ­by­ side with professional instructors, performers, directors, and designers. ** Rush Tickets are available for Orchestra seating only. POTTSTOWN, PA – Photographers show us a unique view of our world, isolating landscapes, people and moments and sharing them with us in their finished photographs. ArtFusion 19464 is proud to announce a new photography-only show in their main gallery. Shutter II opens on March 19 and runs through April 23. Nineteen local artists are part of this incredible exhibit. Participating artists include John Bosler, Carol Brightbill, Mary Ann Dailey, Linda Doell, Lisa Foster, Lisa Guerriero, Carrie Kingsbury, Paul Kingsbury, Mary Kosar, Mark Long, Charles McCann, Donna Meyers, Geoffrey Meyers, Jack Paolini, Peter Rampson, John Rizzo, Matt Souders, Emily Townsend, and John Warren. A meet-the-artists reception will be held on Sunday, April 17 from 2-4pm in the ArtFusion main gallery. The reception is free and open to the public. Coffee and desserts will be served. ArtFusion requests that all guests please RSVP by calling 610-326-2506 or by emailing info@artfusion19464.org. ArtFusion 19464 is a 501(c)3 non-profit community art center located at 254 E. High St. in downtown Pottstown. The school offers day, evening and weekend classes to all ages. The goal of these classes is to help students develop their creative skills through self-expression and independence. ArtFusion’s gallery hosts rotating shows featuring local artists. The gallery also sells handcrafted, one-of-a-kind gift items. The gallery is open Tuesday through Friday from 10:00 am-5:00 pm and Saturday 10:00 am-3:00 pm. The gallery is closed Sunday and Monday. Blue Bell, Pa.—Montgomery County Community College’s (MCCC) International Club and ESL/International Student Services invite the community to the 7th Annual International Night on Wednesday, April 20, from 5-9 p.m. General admission is $5; admission for children under age 12 is $3. MCCC students will be admitted free of charge with a valid student ID. The festivities will be held in the cafeteria and adjoining conference area in the lower level of College Hall at the Central Campus, 340 DeKalb Pike, Blue Bell. Students will transform space into a multi-cultural celebration. Highlights will include cultural performances, international cuisine from more than 30 countries, educational information, raffles and more. International Night brings together the College and local community to celebrate diversity and collective cultures. 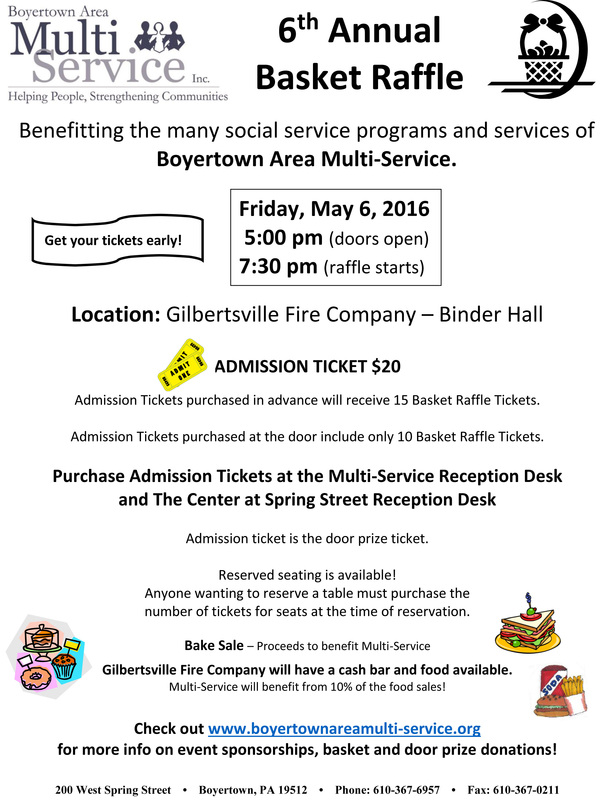 In past years, up to 1,000 people have attended or participated in this family-friendly event. For more information or to sponsor an activity, contact Dilek Arig at darig@mc3.edu. Students from area high schools participated in Montgomery County Community College’s 38th Annual Montgomery County High School Art Exhibition, and 31 students received Awards of Excellence for their artwork. Photograph by Arnold Winkler. Blue Bell, Pa.—More than 150 parents, students, teachers and community members attended the opening reception and awards ceremony for the 38th Annual Montgomery County High School art show on March 9 at Montgomery County Community College’s Fine Arts Center Gallery, 340 DeKalb Pike, Blue Bell. During the awards presentation, 31 students received certificates in recognition of their artwork, along with gifts of sketch pads and pencils. MCCC’s art faculty served as judges of the show, which included 260 entries from area high schools. Upper Moreland High School: Romala Hopkins, “Morning Dew;” and Janet Patel, “Zebra. The exhibit opened March 9 and will continue through March 25. Gallery hours are Monday through Thursday, 8 a.m.-9:30 p.m.; Friday, 8 a.m.-4:30 p.m.; and Saturday, 9 a.m.-5 p.m. Closed weekends. The next exhibit at the Fine Arts Center Gallery, the 49th Annual Art Students’ Exhibition and Competition, opens on April 11 and runs through April 29 and features the artwork of MCCC students. The community is invited to the opening reception and award ceremony on Wednesday, April 20, 5-7 p.m. For more information about the exhibition, contact Gallery Director Holly Cairns at 215-619-7349 or hcairns@mc3.edu. Follow us on Facebook at www.facebook.com/DestinationArts for information about upcoming performances and art exhibitions. Joe Hoover and Gwendolyn Lanier-Gardner were the winners of the Best in Show competition during ArtFusion’s 2016 Winter Member Show. The two artists won their own show in the ArtFusion gallery in the fall of 2016. The show promises to be an amazing exhibition of work, showcasing the work of Joe, who has been a Working Artist member for over 10 years and Gwendolyn, who joined the group two years ago. Visitors to ArtFusion’s gallery during the show were asked to choose their favorite artist and make a donation in support of that artist winning Best in Show. Each $1 donation counted as one vote. All proceeds from this fundraiser help support the non-profit community art center. ArtFusion 19464 is a 501(c)3 non-profit community art center located at 254 E. High St. in downtown Pottstown. The school offers day, evening and weekend classes to all ages. The goal of these classes is to help students develop their creative skills through self-expression. ArtFusion’s gallery hosts rotating shows featuring local artists. The gallery also sells handcrafted, one-of-a-kind gift items. The gallery is open Tuesday through Friday from 10am-5pm and Saturday 10am-3pm. The gallery is closed Sunday and Monday. 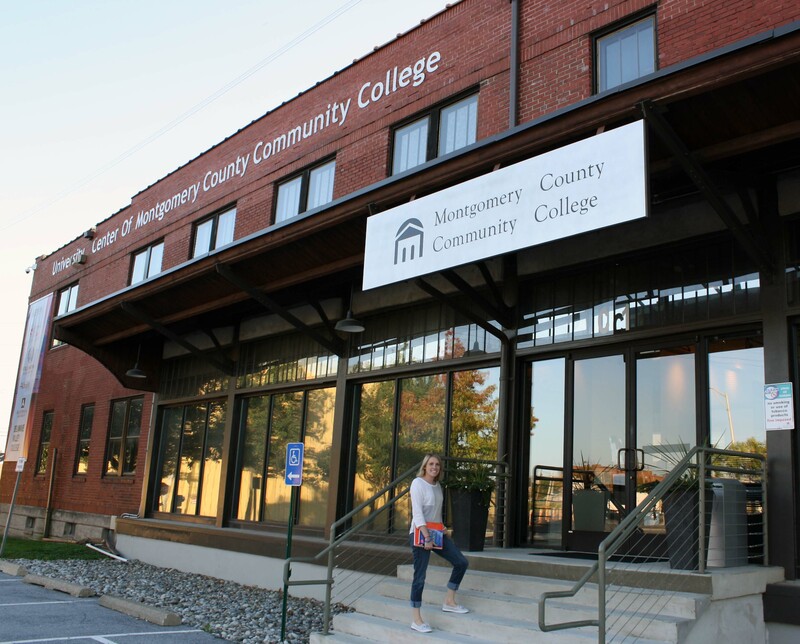 Montgomery County, Pa.— Montgomery County Community College (MCCC) will hold three open houses this spring to provide prospective students and the community with information about the College’s programs, campuses and activities. The open houses are free of charge and are open to the public. For more information and to pre-register, visit http://www.mc3.edu/openhouse, call 215-641-6551 or email admissions@mc3.edu. The College’s Central Campus, located at 340 DeKalb Pike in Blue Bell, will host an open house on Saturday, April 2 from 10 a.m.-noon in Parkhouse Hall. The open house is held in conjunction with the 16th Annual Montgomery County Wellness Expo, which runs from 9 a.m.-noon in College Hall. Admission to the expo is free and will include presentations, giveaways and free and low cost screenings. For information on the Wellness Expo, call 484-622-0200 or visit http://www.einstein.edu. The College’s West Campus, located at 101 College Drive in Pottstown, will host an open house on Thursday, April 14, from 6 p.m.-8 p.m. in the South Hall Community Room. Both the Central and West Campus open houses will provide prospective students and their families with information about MCCC’s credit and non-credit programs. Admissions representatives will be on hand to answer questions about the admissions process, transfer opportunities, the Virtual Campus, financial aid and intercollegiate athletics, among other topics. In addition members of the College’s faculty will share information on the 100+ associate degree and certificate programs that are part of a comprehensive curriculum. The Culinary Arts Institute of Montgomery County Community College will also host an open house on Saturday, April 16 from 10 a.m.-noon at its facility in the Towamencin Town Square complex, located at 1400 Forty Foot Road in Lansdale, Attendees will have the opportunity to tour the kitchens and classrooms while learning about MCCC’s Culinary Arts, Baking and Pastry Arts and Hospitality associate degree programs, as well as its Culinary Enthusiast and other non-credit offerings. Student Success Center advisors will be on hand to answer questions about the admissions process and financial aid, among other topics. In addition to the three spring open houses, MCCC will host specialized Dual Enrollment Information Nights for high school students and their parents on Wednesday, April 20 from 6:30-7:30 p.m. at the Central Campus in Blue Bell and on Thursday, April 21 from 6:30-7:30 p.m. at the West Campus in Pottstown. During the sessions, participants will learn about opportunities to earn college credits while in high school. To learn more about all that Montgomery County Community College has to offer, visit http://www:mc3.edu online. Blue Bell, Pa.—Current and prospective students are invited to attend information sessions about Montgomery County Community College’s (MCCC) new Associate in Science (A.S.) degree program in Public Health, which begins this fall. The information sessions will be held on Wednesday, March 23 from 12:30-1:15 p.m. and 5-5:45 p.m. in Parkhouse Hall room 103 at MCCC’s Central Campus, 340 DeKalb Pike, Blue Bell. In MCCC’s Public Health program, students will earn how to apply population perspectives to examine social, environmental and behavioral determinants of health in the prevention and control of disease. The program prepares graduates to transfer to a four-year college or university to continue their studies in Public Health. “The field of public health is far reaching. It’s an ideal major for students who want to be in a health field, but who do not want to work in a clinical setting. Health education and health promotion practitioners work with patients in a different way,” explained Natasha Patterson, instructor and coordinator of Public Health at MCCC. Graduates of public health programs frequently work in the areas of health policy, regional planning, health education and promotion, health administration and in public health specializations in a variety of social sciences fields. “Public health can’t be put in a box. It crosses so many fields,” said Pattersen. Even though MCCC’s A.S. degree program in Public Health begins in fall 2016, Introduction to Public Health (PBH 101) is being offered this spring and will be offered during both summer sessions. To learn more about the program, visit http://www.mc3.edu/academics and click on Areas of Study, followed by Health Sciences, then by Public Health.